Still unsure whether this book is for you? 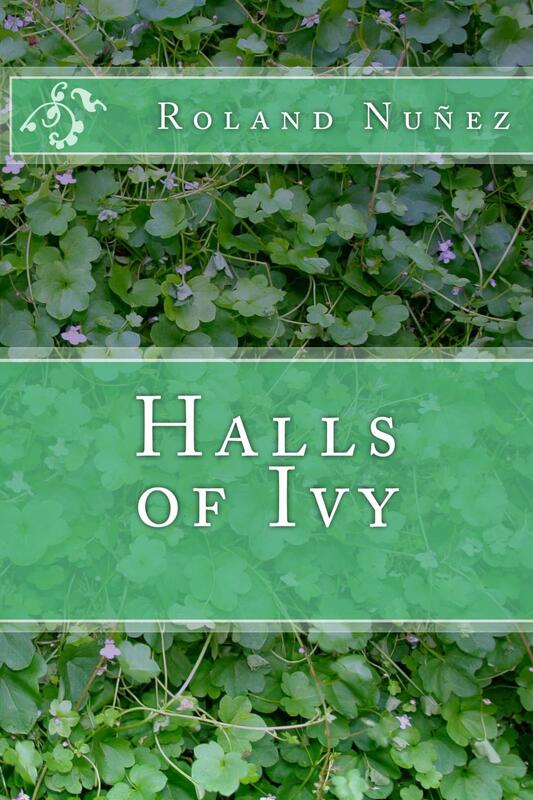 Here is a sample chapter from the first Halls of Ivy book. After hearing his bass voice booming throughout the packed room, I walked forward, nervously clutching my folders full of notes. The piercing stare of the room made me feel anxious, but I held my ground. I pulled out the files from my folder. “Are these documents supposed to serve as your story?” the gentleman said as he placed his glasses on to review the files on the table. Police sirens echoed throughout the campus, forcing me to pull over at least three times to let them pass. Despite the delay they caused on the road, I was still on schedule. I finally pulled into the lone road that led into the university. Although it wasn’t too long past six, darkness had already swept in. At one point, the single road split into a huge circle, with a patch of trees isolated in the middle. It was hard to tell in the dark, but it seemed to be a small park adorning the entrance to the campus. I turned left onto the circular road, then made another left and followed the sound of the sirens. Driving down the campus’s side road showed me the true enormity of the university. Despite everything I’ve learned, all the people I’ve interviewed, I could never have imagined a liberal arts college of this size. It rivaled that of the state universities. I felt both intrigued and intimidated. I pulled into a parking lot, empty except for a few cars scattered around here and there. I looked around for the administration building, but it was nowhere in sight. Just a few empty parking lots, some residence halls, and a closed deli. The majority of students were still gone for winter break. I looked back at the residence halls down the street with the emergency vehicles parked by them. There was an ambulance and three police cars parked by Miller Hall, right across from the campus safety office. There was a man standing outside talking to a police officer. Figuring he could help me, I walked towards him. Looking like he may have just gotten out of work, the man was tall and skinny, wearing a peach-colored polo that meshed well with his dark brown skin tone. The police officer seemed disgruntled during their conversation, hands in pockets as if Floridian winter was too cold for him. A part of me wanted to know what was going on. I’ve examined campus emergencies for two years in my case studies, but haven’t actually been near a real one. The officer saw me approaching and directed his attention towards me. “May I help you?” he asked with a slightly condescending tone. I could tell he didn’t want me to be there. I could smell his garlic breath from all the way over here. He turned around and looked back at the other gentleman, as if gesturing for some backup. Upon closer inspection, I noticed that this police officer wasn’t a police officer at all. He was just one of the campus safety officers that patrolled the university. The man walked towards me, much to the officer’s dismay. Travis led the way. Back in Miller Hall, I saw two men wheeling out a body into the ambulance. I really had an urge to find out more. Travis could tell that I was curious. “What happened to the other two?” I asked him. “Do you think it was depression?” I asked him. Travis pointed to a building down the road. “Likewise, and thanks,” I responded as we both parted ways. Questions raced through my head about the whole ordeal. If there were so many suicides, why was everyone so calm and relaxed? Why wasn’t this in the news? This should’ve been the police department’s number one priority! Had I been running this university, things would’ve been completely different. I headed on over to Admin Hall and went inside to find the Dean of Students, Shandra Giles. I spotted her standing by the reception desk engaged in conversation with a few people. Her dark brown hair was neatly tied in a bun as she stood there with near-perfect posture. Her tall stature and firm disposition exuded a great deal of authority. She seemed to be in her mid-forties. I had only met her once before, during a brief encounter at the ACPA (American College Personnel Association) conference. I looked over to the other two individuals accompanying Dr. Giles. Dr. Scott was an older man in his mid-fifties. His raised hairline from his hair loss made his shiny forehead the center of my attention. He was a skinny man dressed in a pair of dress pants and a polo shirt, similar to Travis Coleman. It was an odd choice of wardrobe, considering his position was much higher than that of Dr. Giles’, yet she looked like his superior. Lynn Sawyer was much shorter in comparison to Dr. Giles and Dr. Scott, but her fierce stare more than made up for it. She didn’t seem to put much effort into her appearance. Her hair was frizzled and her outfit needed some ironing. It was hard to look at her without staring into her intimidating grey eyes as they glared at me like a territorial predator. I opened my mouth to respond, but Detective Sawyer jumped into the conversation. “Excuse me, but what exactly is student affairs?” Detective Sawyer asked in irritation. I could tell there was some tension between Dr. Giles and Detective Sawyer that was present before I even entered the building. If I ran this university, problems like this wouldn’t exist. I had so many ideas I wanted to implement once I graduated and actually had the power to change anything at these colleges. The provost, Dr. Scott, finally spoke up. Dr. Scott led Detective Sawyer up to his office. She gave Dr. Giles and me a stern look for a brief second before heading off with him. I looked over back at Dr. Giles. I watched her in silence, turning red with embarrassment. “Oh, Cheyenne, you’re so young,” Dr. Giles said. “Sun Valley University’s retention rate is a little over fifty percent. Do you know what that means? That only about half of the freshman class that entered this year will reach graduation. It’s been like that for a while now. No matter what we do, how hard we try, it is unrealistic to assume that it will change. Students have problems, and only the students themselves can choose whether or not they want to deal with them. We can only help those that want the help. “Thank you,” I told her as I turned to leave. So much for having her as my mentor.